Although the Nez Perce Indians befriended Lewis and Clark on their famous expedition, they were rewarded by decades of invasive treaties and encroachment upon their homeland. In June 1877, several non-treaty bands of Nez Perce struck back and were soon swept into one of the most tragic Indian wars in American history. 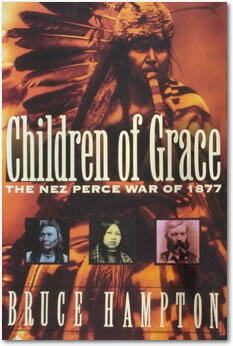 The conflict culminated in an epic twelve-hundred-mile chase as the U.S. Army pursued some eight hundred Nez Perce men, women, and children, attempting to fight their way to freedom in Canada. I first became interested in the war when I worked as a U.S. Forest Service wilderness ranger along the Montana-Idaho border in the early 1970s. One day near Lolo Pass, I discovered a spent cartridge, old enough to hail from the century before. Soon I was hot on the Nez Perce Trail, although it would take twenty more years before I felt ready to write this amazing story that seemed to me as spellbinding as any edge-of-the-seat novel I’d ever read. This book is full of vivid and unforgettable characters from both sides of the conflict — warriors and women, common soldiers and celebrated generals — as the Nez Perce, numbering fewer than three hundred warriors, waged a bloody David-and-Goliath war against a modernized American army. Updated and enhanced e-book version contains over 100 photos and maps!